As a middle school teacher at a Title I school in Texas, I have definitely had my share of discipline issues in the classroom. I have also tried nearly a hundred ways to manage my classroom and ultimately decrease discipline issues. What have I found that actually works? Win-Win Discipline. 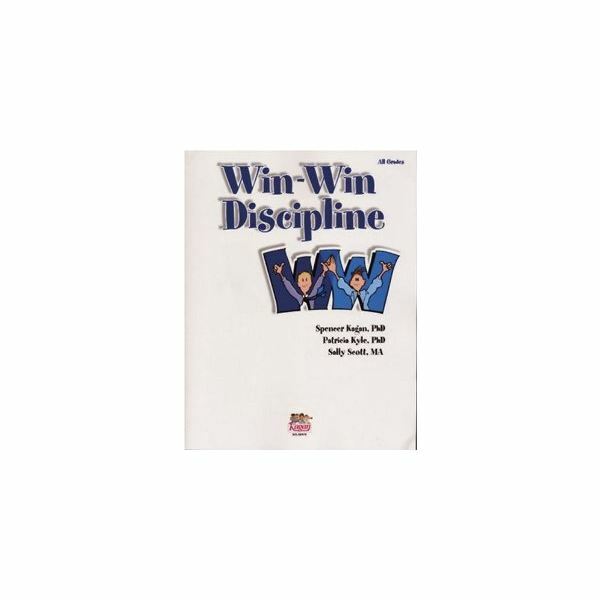 Win-Win Discipline is one of many classroom tools created by Kagan Publishing & Professional Development. This book is composed of six parts: The Three Pillars, ABCD Disruptions, The Seven Positions, Preventive Procedures, Moment-of-Disruption Strategies, and Follow-Ups. SmartCards, which are a type of cheat sheets covering each of the six parts and based on this book, are available for purchase through their online catalog. Win-Win provides teachers with tools to identify reasons behind student behavior, ways to prevent disruptive behavior, and discipline strategies for the classroom to ensure disruptive behavior decreases. It is actually pretty easy to tell how these three pillars would aid in the ultimate reduction of discipline issues in the classroom. With Same Side, for instance, parents, students, and teachers work cooperatively on the “same side," rather than at odds with each other. In doing so, the student does not feel like he/she is being attacked, but rather that the teacher gives some sort of validation for the student’s feelings. Collaboration entails working with the student to identify possible solutions for the student’s discipline infractions. Share Responsibility involves working with the student so that he/she learns to make responsible choices both inside and outside of the classroom. The focus of all three pillars is that you do not put the student on trial, so to speak; but rather that you, as a teacher, help the student understand his/her behavior and hold him/her accountable for making good choices. Disruptions are identified as either Aggression, Breaking the Rules, Confrontation, or Disengagement. The seven positions take it beyond by further identifying disruptions as Attention-Seeking, Avoiding Failure, Angry, Control-Seeking, Energetic, Bored, or Uninformed. Specific strategies for handling each type of behavior are provided in Win-Win Discipline. Categorizing disruptive behavior using ABCD and the Seven Positions allows the teacher to address the behavior in an appropriate manner, making sure the student again does not feel as if he/she is being attacked. Students need to know that they are entitled to their feelings, but they must handle those feelings in an appropriate manner. Ensuring students are held accountable for their actions is still key. Dr. Spencer Kagan and his coauthors, Dr. Patricia Kyle and Dr. Sally Scott, include more than 100 preventive procedures in Win-Win Discipline. The implementation of such procedures allows expectations to be communicated up front, so that the students know exactly what is expected of them at all times. When a classroom obtains balance of curriculum, instruction, and management, discipline issues in that classroom tend to decline. Using Kagan’s preventive procedures does aid in such balance, therefore decreasing discipline issues. If a majority of time is spent on discipline, students who have a tendency to be well-behaved can get frustrated and feel as if the opportunity to learn is almost non-existent. Thus, teachers who do spend a lot of time on discipline are viewed in a negative light. Kagan’s moment-of-disruption strategies actually seek to stop disruption before it grows out of control. The implementation of these classroom disruption strategies allows less time to be focused on discipline and more time for curriculum and instruction. Win-Win Discipline includes a number of follow-ups to be used in accordance with the other aspects. Follow-ups allow the teacher to keep the student in check, so to speak. The student realizes he/she is still held accountable for making appropriate choices regarding behavior. Follow-ups would include any behavior plans, positive feedback, contracts, improvement plans, and more conducted after an incident occurs. Follow-ups are necessary because students need to understand that teacher expectations as far as behavior is concerned are the same from day to day. Using Win-Win Discipline really does help with classroom management. According to Jane Bluestein, Ph.D., teachers who take on a “win-win approach . . . assume responsibility for handling misbehaviors that occur in their classrooms . . . [and] provide an atmosphere that encourages growth and learning (Bluestein 1)." What teacher doesn’t want that? Teachers looking for effective classroom management approaches and discipline strategies should definitely look at Win-Win Discipline. It really does what it claims to do—work. Kyle, P., Kagan, S. and Scott, S (2004). Win-Win Discipline: Solutions for All Discipline Problems. San Clemente, CA: Kagan Publishing. Note the book and the SmartCards are available on the website; the book only is available on Amazon.com.